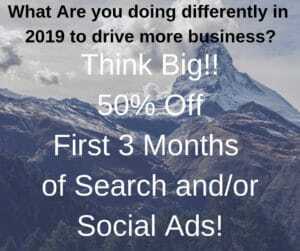 Philadelphia Businesses can Maximize Their Online Marketing Efforts with These Great Current Offers. These Philly Specials Run all Year Long! WordPress Website + Lead Management Software just $299 for 12 months . After 12 months only $89. Great for businesses on a budget! $899 SEO includes updating over 50 Directly Listings. Get Free Banner Ads when you purchase Display ads. Many More Free Services - Call For Details! The 13th month free is a great way to stretch your marketing dollars so be sure to ask how you can easily get your 13th month free. The $299 WordPress Website with Lead Management is a fantastic opportunity for any business in need of a WordPress website. The Website has many WordPress templates you can choose from and they are all built as Responsive Design with best SEO practices. Reachedge is built in an extremely helpful for determining "where" you are generating the best ROI and allows you to track your leads from start to finish. Your new website can only be indexed on the search engines for words that are built into the website. A great way to grow your visibility on the web and be found in more places is using ReachSEO. Take advantage of this great marketing tool while its only $899 includes listings management. Call Now at 484-278-6576 and we'll send you a FREE complete website Audit Report!